Amber Rose may be referring to the rumors that swirled recently around Kim Kardashian's post baby body, or maybe not, but the new mom shared a picture of her much slimmer post baby body and urges new moms to shun surgery or other short cuts to losing the weight gained while pregnant. They are the star actesses whose roles in recent movies have got everyone saying they deserve the Oscars, and in the Actresses Issue of The Hollywood Reporter, Julia Roberts, Oprah Winfrey, Emma Thompson, Amy Adams, Octavia Spencer and Lupita Nyong'o all open up about their critically acclaimed new roles, as well as their own personal struggles working as actresses. Great cover! 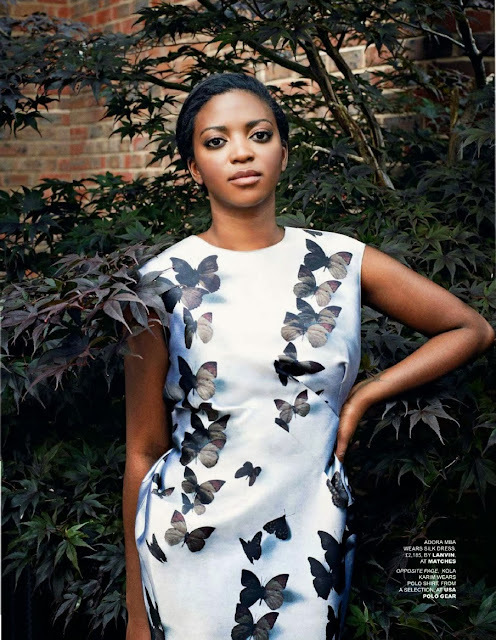 I know I am late to the party, I am as busy as I've ever been, but I just came across this Tatler article in their December 2013 issue that features an article on Nigeria’s growing “young moneyed” set highlighting people like Florence “Cuppy” Otedola, Eku and her twin sister, Kessie Edewor, Misan Harriman, Rotimi Alakija, Chin Okeke, Richard Vedelago, Adora Mba and Kola Karim. The British society magazine describes these Nigerians as having billionaire parents, boarding school credentials and private jet passes. There were rumors last week that Kelly Rowland, formerly of Destiny's Child with Beyonce, was now engaged to her manager and boyfriend Tim Witherspoon. The stories started after Kelly Rowland was seen wearing a large diamond ring in a video on her friend's Instagram. 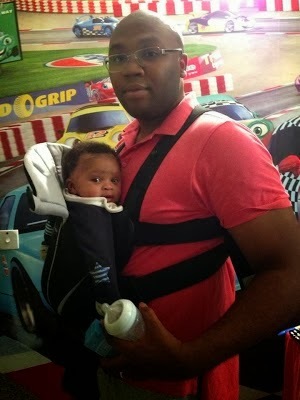 Jason Njoku, founder of IrokoTV is married to actress Mary Remmy and they had their little son back in July. The hardworking dad was photographed with his adorable bundle of joy recently. Check out another picture of their small family below.